Age 87, passed away on January 31, 2019 in Sacred Heart Community Health Center, Chéticamp with family by her side. Born in Chéticamp, Rita was the daughter of the late Tommy and Marianne (Chiasson) Chiasson. She is survived by her sons, Réné (Doreen) LeFort, Jacques LeFort, (Brenda LeBlanc), daughter, Ginette (Gilles) Deveau all of Chéticamp; sister, Isabelle Deveau; grandchildren, Wanda, Blaine, Glen, Lisa, Angela, Joey, Gregory, Marielle, Justin; great-grandchildren, Cameron, Maxime, Samuel, Liam, Théo, Mathieu, Cassie, Winston, George, Hazel, Kiarra, Sophia, Declan, Greyson, Alia. She was predeceased by her husband, Joseph LeFort; brothers, Lubie Chiasson, Wilfred Chiasson. There will be no visitation. Funeral mass will be celebrated on Monday, February 4, 2019 at 10:30 a.m. in Église Saint-Pierre, Chéticamp with Father Peter LeBlanc officiating. Burial in the parish cemetery at a later date. In lieu of flowers, memorial donations may be made to Sacred Heart Hospital Charitable Foundation or to a charity of choice. 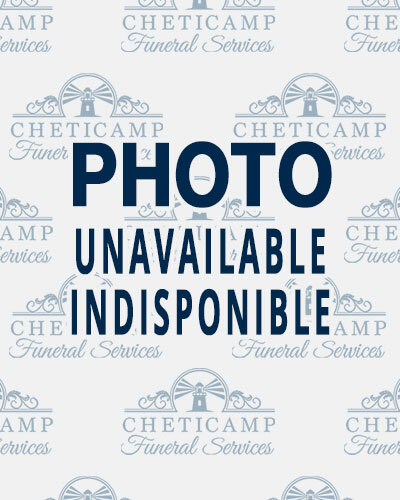 Funeral arrangements are under the direction of Cheticamp Funeral Services Ltd.
Online condolences are now closed.